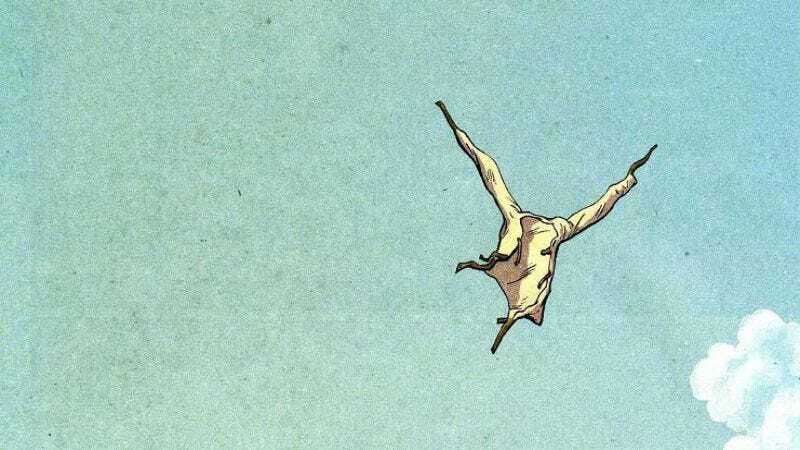 Just like its titular hero, the Y: The Last Man movie has once again executed a daring escape, and this time it might be for good. According to potential director Dan Trachtenberg, who was tapped last year by New Line to keep the wily film property in line, the rights to the project have slipped through the studio’s defenses and returned to creator Brian K. Vaughan. In an interview with /Film, Trachtenberg—who’s currently set to direct a post-apocalyptic thriller for J.J. Abrams’ Bad Robot—offered honest respect for his escaped quarry, saying, “I had such a great time working on that project and am truly sad the things we were cooking up can no longer happen.” He went on to drop a few hints about what the film’s plot would have been, then suggested that, now that Vaughan and the film rights have been tearfully reunited, they’re probably going to stick together for the forseeable future. “Y: The Last Man is back where it should be, with its creator. I’m not sure Brian will ever want to do anything more with it and I’m not sure that he needs to,” Trachtenberg said. Vaughan pulled his own high-profile Hollywood escape act earlier this year, stepping down from his role as executive producer on CBS’ Under The Dome to focus on comics, like his creator-owned, critically acclaimed Saga and The Private Eye.